Club Penguin Cheats by Mimo777 Club Penguin Cheats by Mimo777: Rockhopper Is Getting FAIRly Close to Club Penguin! Lol! Silly Bandz. Did you know there is More stamps? The mission stamps and the Puffle Rescue were just added. omg i love silly bandz, or itty bitty bands or bandz or whatever peeps call em. i have the fruit, toy story and spiderman pack!! i also traded with some friends and got a cupcake, a popsicle, a milkshake, and a glow in the dark rainbow princess crown!!! aww yah!!! anyway, i dont think he will :P Rockhopper's either going to bring an old item that everyones seen b4, or something know ones ever thought of b4. or it could be something really dumb like knot of string. or it could be SILLY BANDZ. jk. 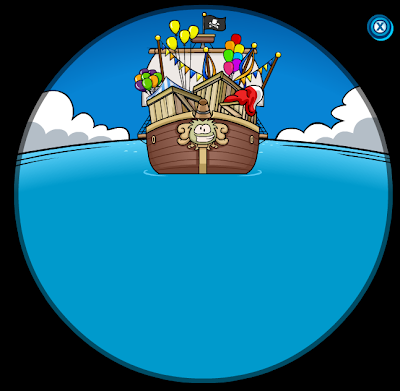 i cant wait for ROCKHOPPER!!!! PS sorry im righting really LONG comments. oops. I hope he brings silly bandz! I would trade him my penguin one for a puffle silly band. silly bandz lol. :P I prefer those wristbands with band names on them. i really hope rockhopper brings something new this year..
by the look of all the colored floating thing they are flying puffles or are balloons mabe he brought candie! LOL i have all the sports pack and one dinosaur and turns out im allergic to them=(They make my hand itch like CRAZY! ~~~~~~~~~~~~~~~~~~~~~~~~~~~~~~~~~~~Ya check the post above this one. You probably already saw that huh? Oh well. Five more days until the CP wii game. remember when rockhopper came with all the plants he brought a new background mabey this time since he has fal fair decorations he'll have a new background too. omg! mimo! i just ah- dore silly bandz! BTW, how many do u have? i have 66! yay! but my friend laynie has 212. the fair is always awesome!